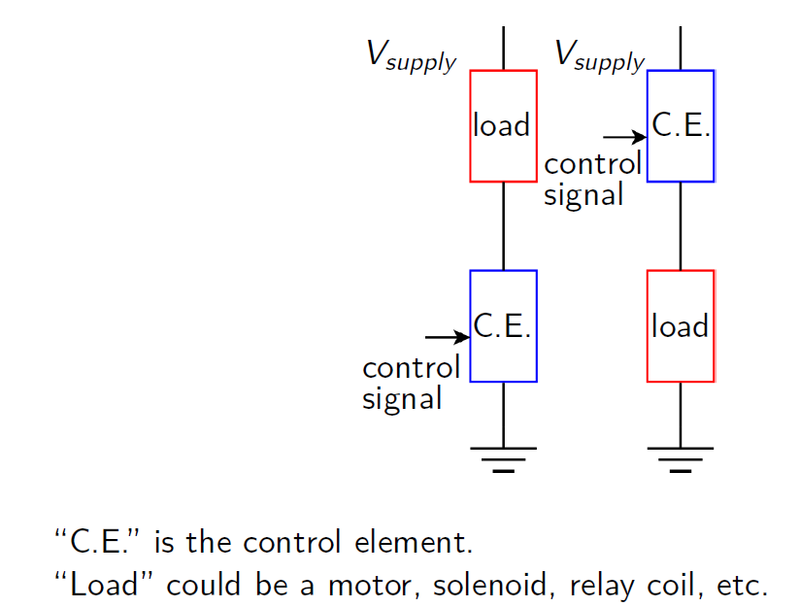 Remember that any control element is used in a voltage divider with the load. This is true whether you are testing the device or using it normally. For testing purposes, you can simply replace the normal load with a fixed resistor of similar size and current rating. 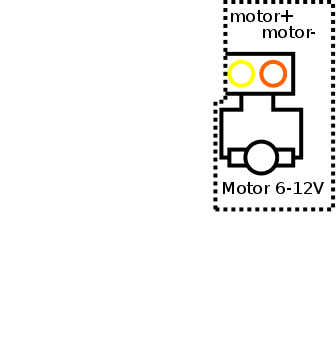 Put a Zener diode across the motor to avoid induced EMFs. Based on the orientation of the diode, think of which direction voltage can be applied to the motor in order for it to run. Test this by using the variable supply and using it to run the motor. Don't let the motor voltage get bigger than about 9V. Why? Now reverse the diode, and test the motor with voltage applied in the opposite direction. Don't let the motor voltage get bigger than about 9V. Demonstrate and explain your findings to the lab supervisor. Wire up an op amp as a buffer using one of the variable supplies set to 9V as the supply votage. Feed the voltage from the other variable supply into the buffer and use the output of the op amp to try and run the motor. Does it work? If it doesn't work, observe the voltages at the input and output of the buffer. How should they be related? Is that what actually happens? 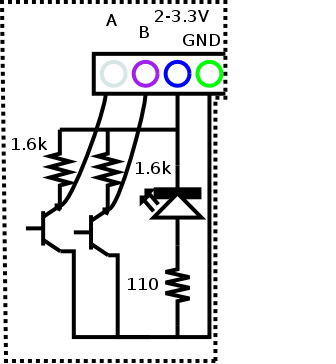 What is the limitation of the op amp that might prevent it from running the motor directly? Use the 3.3V adapter on the 5V supply to provide power for the shaft encoder electronics, and connect both outputs to the oscilloscope. Using the other variable supply for the gate of the MOSFET, start at zero and increase the voltage until the motor starts. Record the voltage required. 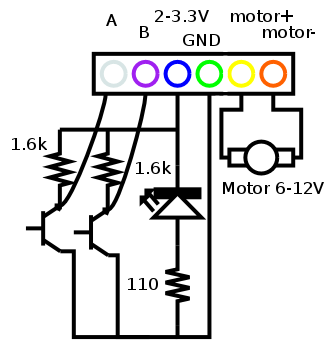 Is there a gate voltage at beyond which the motor speed doesn't change? If so, record it. 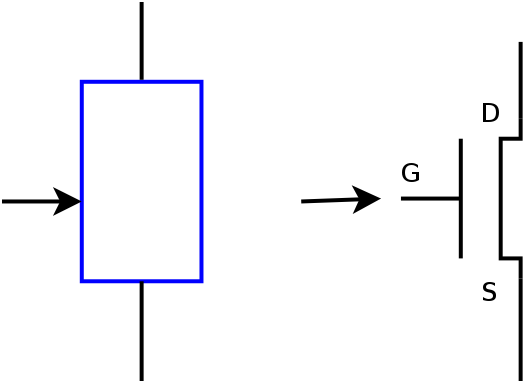 Sketch a graph of frequency versus gate voltage. Is it linear? Why not just use the fixed 12V supply instead of the variable supply set to 9V? Now instead of using the op amp to run the motor directly, feed it into the gate of the MOSFET in the configuration from above to run the DC motor. 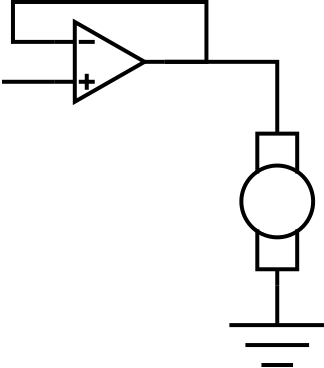 How does this new circuit get around the op amp limitation you mentioned earlier?